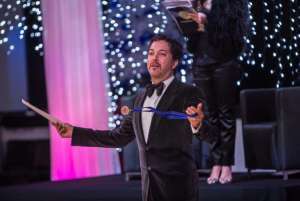 Our festivals in the city of Saint Petersburg have been reporting their history since 2008 on the third weekend of December (Saint Petersburg Star) and the last weekend of August (Saint Petersburg Dance Holidays) and are important popular events in the sphere of ballroom dances in Europe and World. 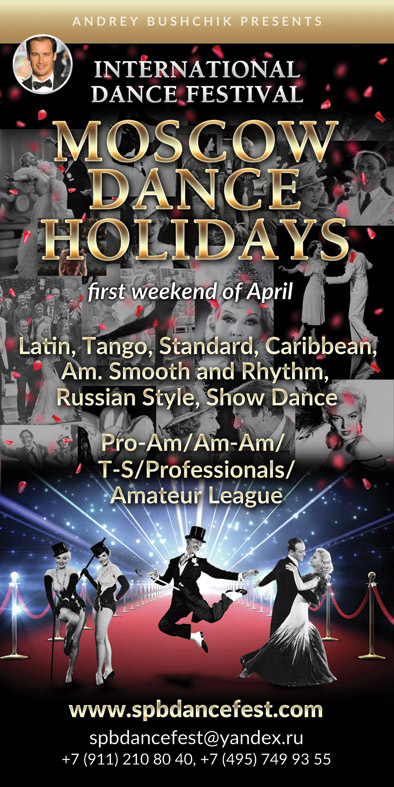 Usually, dance lovers and Professionals from more than 25 countries take part in our events. The World's Dance elite persons as: Gaynor Fairweather MBE, Ricardo Cocchi & Yulia Zagoruychenko, Slavik Kriklivy, Karina Smirnoff, Arunas Bizokas & Katyusha Demidova, Andrew Sinkinson, John Wood, Jonathan Wilkins, Sergey Surkov & Melia, Victor Da Silva & Hanna Karttunen, Jukka Haapelainen, Victor Fung & Anastasia Muravyeva, Neil Jones & Ekaterina Sokolova have been attending our events for the best performances and expertise of competitors. In 2012, WDC has been granted the Title of the Official European Championship in all age groups Amateur League. 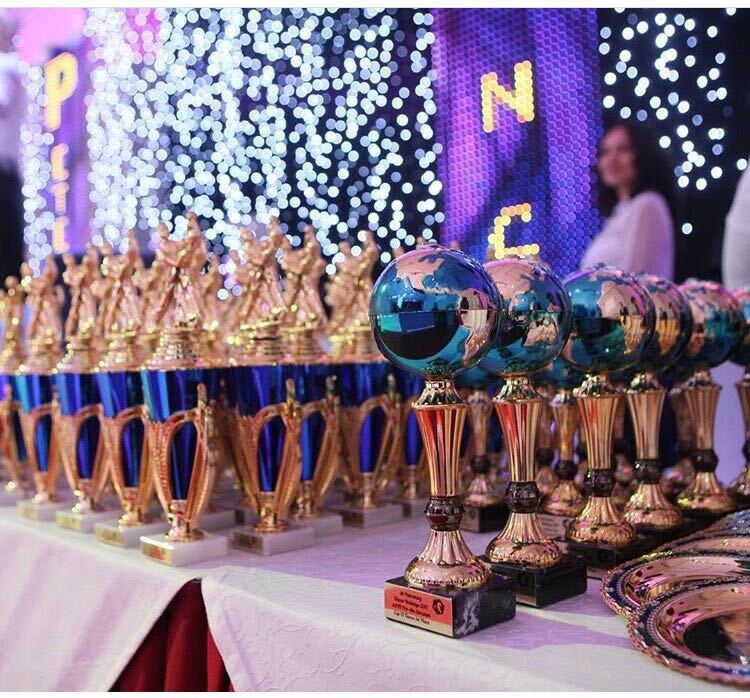 Since 2017, Intercontinental Granted Titles have been conducted by Eurasian Dance Organization, which uses competitive rules and regulations of WDC AL. Pro-Am competitions are recognized and strongly supported by International Association of Dance Schools and Clubs (IDSCA/MASKT). From the first week-end of April 2020 the brand new Pro-Am event started it's history as well in Moscow and has been recognised by IDSCA. Organizer Andrey Bushchik IDSCA Vice-President, European Champion and World Vice-Champion makes all the best to make the best attractive conditions for attendees. Art-director of the festivals — TV Host, beautiful Asya Tkacheva creates a unique atmosphere with her unsurpassed entertainers hosts quality. Welcome to Saint Petersburg and city of Moscow to experience the best!